The day is going to be filled with excitement for anyone who is into geeky gadgets. That's because in just a few hours, the newest camera-centric smartphone from Nokia will be announced. Whether it will be called the Nokia Lumia 1020, the Nokia Lumia 909, or something different isn't yet clear. What' we're pretty sure about, on the other hand, is that it will adopt the Nokia 808's gigantic, 41-megapixel camera sensor, thanks to which Nokia's newest high-end handset would most likely rank among the best cameraphones in existence. So yeah, that's definitely a pretty solid reason to stay tuned for our extensive coverage focused on the Nokia Lumia 1020 announcement. We'll be bringing you the goods as the event unfolds - join us today, July 11th, at 11:00am ET/8:00am PT/4:00pm BST. Until then, you can examine the list of what Nokia Lumia 1020 will offer in terms of specs, according to rumors. I hope Sony's Honami can survive this! It's okay I'm confident. Nokia 1020 may be better in day light but Honami will be better in low light. Some parts eos wins and in some parts honami wins. Well do u know that EOS has been fitted with OIS to take great low-light images? if you decided to meet halfway because your arguments were too weak or you didn´t have them at all, and you didn´t because their no official spec for honami, means you´re insecure in your opinions and know a jack squat. Well, SOME OF YOU are pretty floppy! You talk about how WP needs to have 1080p resolution , how it should have the latest SoC...BUT you waive off the phone with the 41 megapixel sensor...i mean, what's the point? If Android had it, you won't be complaining. Just because it comes on WP, doesn't mean it's less capable or useless or a gimmick! We'll just have to wait and see what the world has to say. "Nokia's newest high-end handset would most likely rank among the best cameraphones in existence." 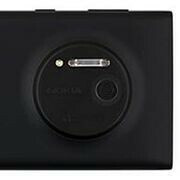 If the 1020 is only ranked "among" the best cameraphones then I will be massively surprised and disappointed. It will be ranked ad THE best cameraphone, bar none!!! I think we got it the first time you posted it. based on what? One pre production unit samples? It will be better than your samesung anyway. Swallow this bitter pill kid. Flush, back into your cage. Bad dog! Where is Troll? Or r u Troll. You know, those who will buy this are the ones who DON'T own a pro camera. Why would you get this monster (of course when you put it with other phones) if you have a better one. lol People want pristine images and reliable hardware, Samsung isn't providing either right now honestly. Also, nobody wants to bring a full on DLSR for casual events with friends, they'd rather get a smartphone with a good cam.